I am very pleased to announce the release of Blogging Tips first e-book 'Basic HTML : An Introduction to HTML for Bloggers'. 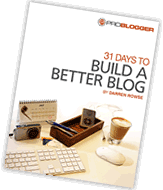 This 63 page e-book spans 11 chapters and is available to download for free to anyone who joins our blogging newsletter. Free B&N eReader -- Plus 6 eBooks on Us! By popular demand, TechTown is launching a second session of its highly popular business conference, "FastTrac to the Future: The First Day of Your Entrepreneurial Adventure," featuring as keynote speaker Chris Gardner, inspiring entrepreneur and bestselling author. In June, demand for the "FastTrac to the Future" training so surpassed expectations that TechTown is set to host a second session, Saturday, July 25th, from 7:30 a.m. to 5:00 p.m., at Wayne State's Community Arts Auditorium. The July 25 session is fully booked with more than 500 registered attendees, and registration for a third and final session, planned for August 18th, is now open. The National Business Incubation Association has awarded the NBIA Soft Landings International Incubator designation to TechTown, Wayne State University's business incubator and research park in Detroit. "Through its Soft Landings program, NBIA recognizes incubators that are especially capable of helping nondomestic companies enter the incubator's domestic market. TechTown was selected for the program because of its slate of business services for nondomestic firms and its demonstrated success at helping firms enter the U.S. market," said Randy Morris, NBIA director of membership. This month SmartStartconcluded its first admission cycle with 25 innovative Detroit startup companies. SmartStart is a business development program that works with startups to meet them where they are and help them grow to the next level. There are approximately 50 companies enrolled in the program now, bringing the SmartStart team closer to its goal of supporting 400 promising Detroit startups at a time. "We're really excited to have a new cohort of companies join TechTown and the SmartStart family," said Ebony Johnson, SmartStart support leader. "It's a diverse group of companies looking to innovate in their industries." Four staff members--Nichole Christian, Faris Alami, Nancy Cappola and Henry Argasinski--join TechTown's ranks this summer to enhance its business support services and marketing communications. Last year, the United States exported more than $385 billion in products and services to Canada and Mexico. Grow your business with America's top trading partners by joining TechTown at the U.S. Commercial Service Trade North America Conference, September 9-10 at the Detroit Marriott Renaissance Center. TechTown is a sponsor of the event, and TechTown's executive director Randal Charlton will speak at a session about university resources for trade in North America. Recent business development headlines for your perusal include coverage of TechTown's landmark entrepreneurship initiave, FastTrac to the Future, and an announcement of a $500,000 Wayne County grant for logistics startups at TechTown. Carbon Credit Environmental Services (CCES) will provide a life cycle analysis for Masco Corporation's Delta Faucet Company Products Division in Jackson, Tennessee, in a partnership effective July 27. CCES will compare the carbon footprints of two Delta kitchen faucets, focusing on the emission levels, energy efficiency and environmental friendliness of the products' composition, manufacture and use. "We're very pleased about this partnership with Delta," said CCES President Mike Dolkowski. "We hope to show that CCES has the capabilities to perform product analyses for many types of companies." Come to the August meeting of the Chinese Business Forum to learn why your company should make the leap and trade with China. TechTown hosts this free quarterly forum designed to help entrepreneurs make the most of opportunities in the East. Created by TechTown in conjunction with the Wayne State University Confucius Institute, the Chinese Business Forum facilitates the exchange of information and business opportunities between Southeastern Michigan and China. The Entrepreneurial Initiative of Southeast Michigan (EISEM) forum is featuring keynote speaker John Sigmund Gilmour, an entrepreneurial information technology leader currently representing Microsoft as a platform strategy advisor. EISEM is a series of programs that works to highlight entrepreneurs and their businesses and further develop their message to reach customers and investors. Presenting companies include CYJ Enterprises, Mind Energy Biofuels and Diversity Education and Employment Network. Join TiE-Detroit for an evening program at the Engineering Society of Detroit headquarters in Southfield this week for networking and a keynote speech from Bharat Desai on the myths and realities surrounding entrepreneurship in clean tech. Desai is a billionaire Indian American entrepreneur and co-founder of Syntel. He serves as director of ExpenseAdvisor and Cyberstate. According to PW Daily on July 14, bookstore sales fell 3% in May 2009, and for the entire retail sector, sales fell 10.2% for the first five months of 2009. However, every year, more books are sold to buyers in market segments outside of bookstores than are sold in bookstores - and these sales are growing. In addition, your books can be sold more profitably on a non-returnable basis. Are you getting your share of these sales? In this webinar you will discover how to find new markets for existing titles, locate new users for your existing information, find new uses for your basic information and increase your sales and profits. Discover proven ways to sell books in large quantities to corporations, associations, government agencies, the military -- and more! Do You want to see a sample? Every book goes through a series of stages from its introduction, through its growth and beyond. Different marketing strategies and actions are necessary at several critical points in order to extend your title's growth and profitability. Find out where these decisive points are, and what you can do to maximize your sales, revenue and profits for long-term success. Discover what you can do to give life to your book after its birth. Do you want to sell more books on TV and radio shows? This personal media-training course will show you how to get on more shows and appear confident while delivering your message convincingly, with your words and actions. Learn how to use memory techniques if your mind goes blank, discover proven techniques to use when taking calls from listeners and find new ways to improve your telephone interviews for radio shows. You will also learn how to become the perfect television guest by using your body language, gestures and facial expressions strategically and confidently. Learn to build your book sales through networking and developing profitable relationships online. Discover tips for building and nurturing relationships through more personal means as well as using sites such as Linked in and Plaxo. There is something for everyone - even if you don't like to network. Hundreds of thousands of new titles are published every year. How can you stand out in this crowd? By producing creative marketing campaigns. In this webinar you will discover marketing's secret ingredient: innovation! You will learn a 7-step process to come up with imaginative, yet practical and proven things you can do to make your books pop off the shelves. You will find out about the mental blocks to creativity and how you can break through them. As a grand finale we'll show you ingenious things you can do tomorrow to market your fiction and non-fiction titles. People buy books from people, not bookstores. You can sell more books if you interact with potential buyers personally. This can be during bookstore presentations or by telephone. In this webinar you will discover easy-to-use tips to make your in-store events more profitable. Then we'll talk about how you can use your Sell Phone to find an agent or a distributor, and to perform quick research, arrange media interviews, network and contact potential buyers. You will receive handouts and spreadsheets to help you market fiction and nonfiction. Don't miss these great chances to discover how you can do more with less than you ever thought possible. Do you have a nonfiction title? Join our special sales program and have and have 5000 premium sales reps selling your books to buyers in corporations, associations, government agencies, the military -- and more! to sell your books to buyers in non-bookstore markets. 1) Fiction titles. We will produce a catalog for fiction titles only. It will be sent to marketing and management buyers as well as the purchasing departments of 1000 companies who may have the opportunity to purchase books. Where do we send the catalog? To buyers for cruise ships, passenger trains, travel agents/sites, bus tours, airlines, military, hotels, limousine services, restaurants, B&Bs, hospitals and others as appropriates to the titles in the catalog. Amtrak, Carnival and Royal Caribbean Cruise Lines, Expedia, Travelocity and the US Army are just a few of the companies who will receive our catalogs. 2) Remainders. If you have an oversupply of books, we may be able to move them for you. Give us your best price and we will call on prospective buyers who are looking for one-time purchases. These are in addition to our existing program in which we sell your books through 5000 reps to known buyers in corporations, associations, schools, and government agencies. This is the catalog program that many of you have already joined. We are rapidly becoming known as the "go-to" source for books sold in the premium business. Salespeople looking for a specific book or subject matter look to us first.